Fridays, especially during Lent. For the most part, potatoes were a stranger at my mama’s dinner table in straight up potato form. I can distinctly remember declaring at some point in high school that I would NEVER, EVER God as my witness make rice and gravy once I left home. (It was all very dramatic and full of southern teen angst at the least). Luckily that is not true and I got some sense as I got older. Rice and gravy has its lovely place on our table because it for dang sure deserves a spot. I mean…Cajun Mama…duh. Rice and gravy. Also, it is good to remember that we ate a lot of potato salad so I guess potatoes would be redundant on the side of your meal. But when I say l love potatoes, I mean I like potatoes with my cheese. Lol!!! Cause me likes my cheese. Creamy, cheesy, decadent potatoes. Those are my favorite. 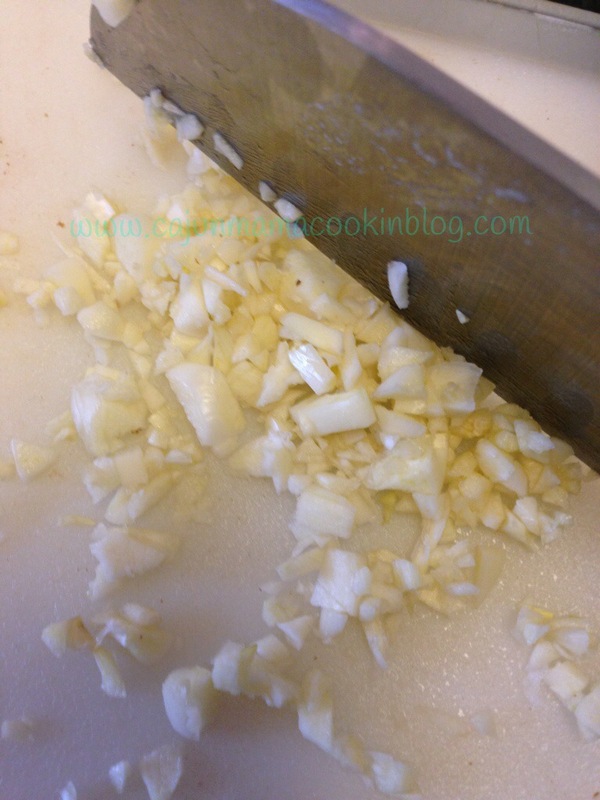 This recipe I am posting today is exactly that. Oh my. Just potato perfection my friends. Equally at home along side a grilled rib eye or a plate of barbecued chicken or ribs. This au gratin potato recipe requires minimal ingredients and you probably have the majority of them in the pantry or fridge. It is super simple and quick to whip together. Versatile, easy to make, and just a few ingredients are all things that make a recipe perfect. Oh it has to be delicious. This one is it!! You and your family will absolutely love these. Trust me on this one. I found this recipe one day when reading through one of my Pioneer Woman cookbooks…it is her second one I do believe. When I read through the recipe I felt like I had won the recipe jackpot!! I made them over and over again for a few weeks. Yes they are carbs and they are worth every bit of the indulgence. I hope you feel the same when you try them. 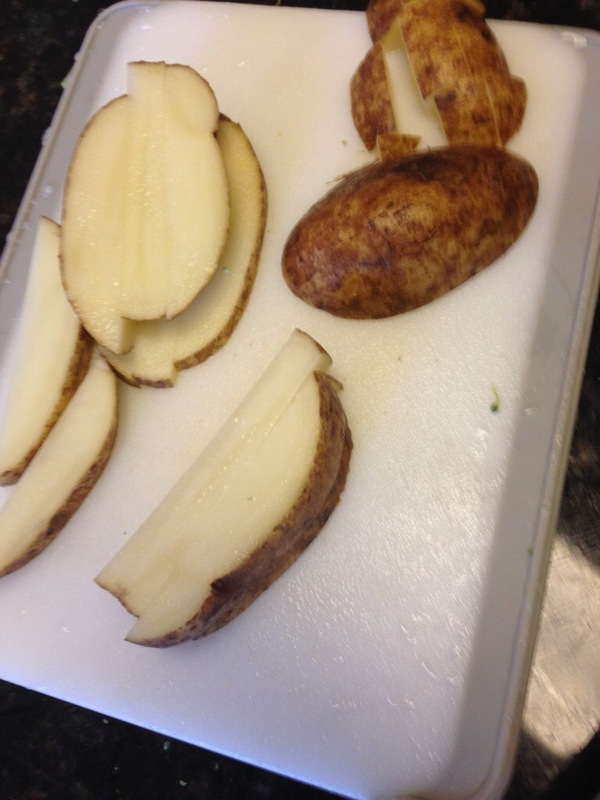 In fact, next to my special potatoes, which you can find here https://cajunmamacookinblog.com/2013/11/12/cajun-mama-special-potatoes/ ..this is probably my favorite potato side dish. Preheat oven to 400 degrees. Smear the softened butter all over the bottom of an 9 x 13 baking dish. 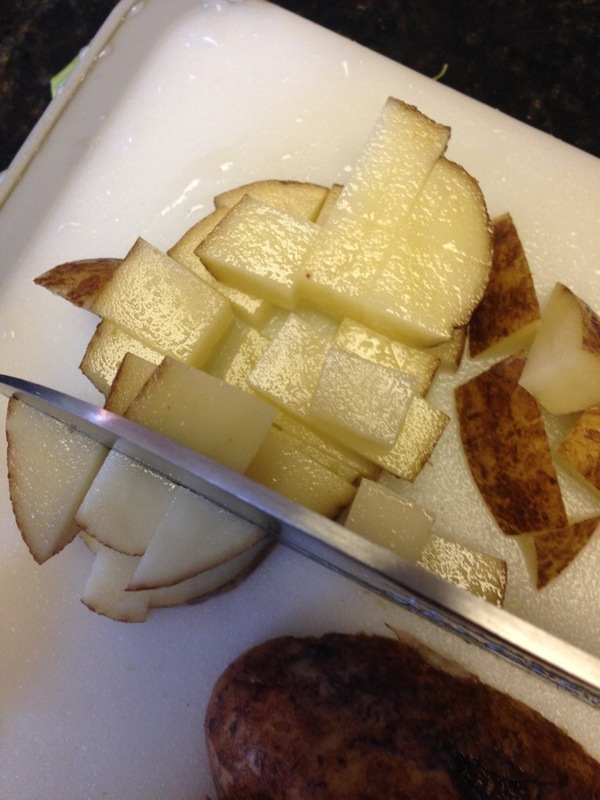 Next start out by slicing the potatoes, then cutting into strips and then dicing them into cubes. 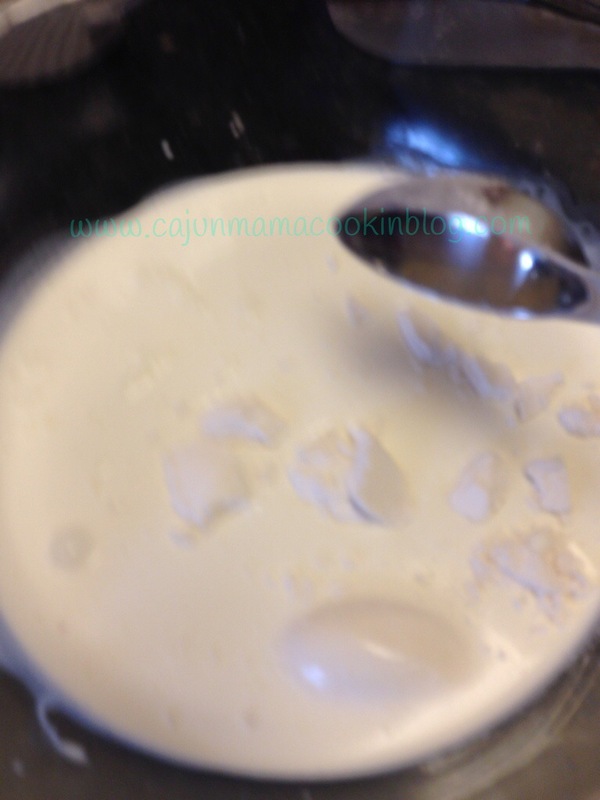 Now, in a medium size bowl, whisk together the heavy cream, milk, flour, minced garlic, salt and pepper. Layer 1/3 at the bottom of the buttered baking dish. Next, pour about 1/3 of the milk mixture over the potatoes. Give that a good stir. Next, layer some more potatoes and then more milk, about 1/3 of each. Do this until the potatoes and milk are all used up. Cover tightly with foil. Bake in preheated oven for about 20-25 minutes. Remove foil, sprinkle shredded cheese over the piping hot potatoes. 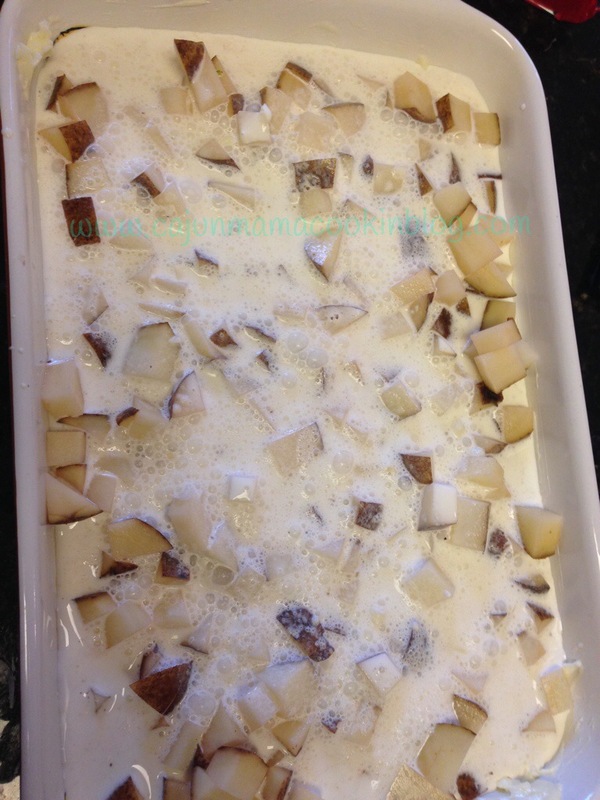 Return dish to oven, uncovered and bake until cheese is all bubbly and yummy looking. Heaven in a baking dish I tell you right now. 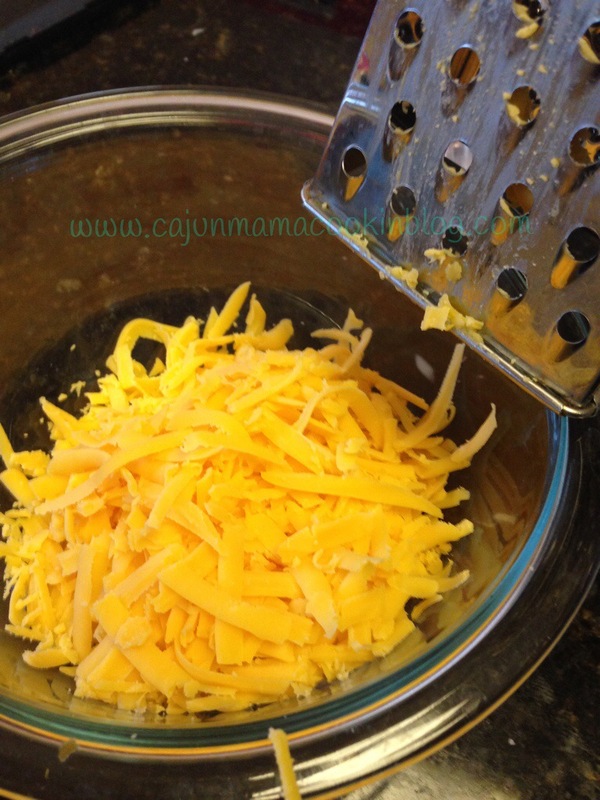 glorious shredded cheddar…get in my potatoes!